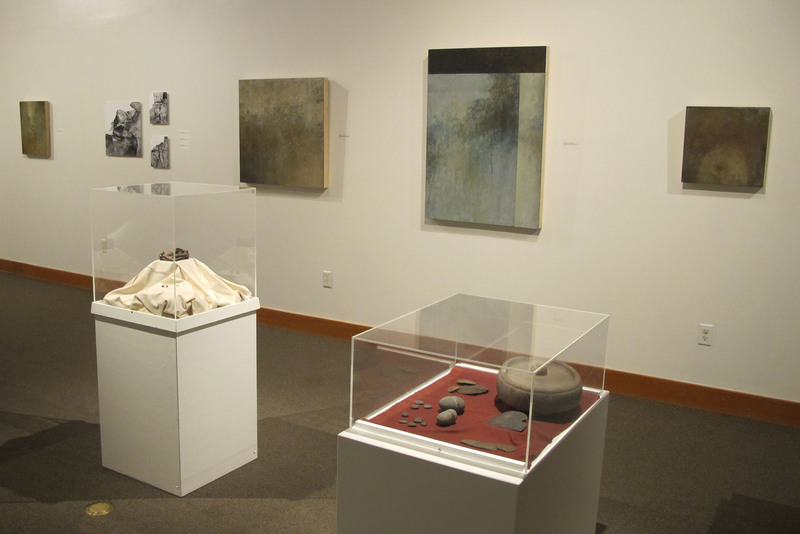 This exhibit explores the beauty and mystery of archaeology, with abstract paintings by Rebecca Crowell that references archaeological processes, and artifacts excavated in the Kenai Peninsula. Compositions and sound design by composer David Crowell accompany the visual display. This exhibit is supported in part by Alaska State Council on the Arts, National Endowment for the Arts, City of Homer, Apache, and Petro Marine.